Wrexham have signed Anthony Spyrou on loan from Norwich until the end of the season. The 19-year-old striker has come through the youth system and signed his first professional deal with the Canaries in January this year. He has been playing for the under 23s this season, scoring seven goals in 15 outings. Wrexham hope to have Spyrou available for Saturday's game against Hartlepool United. 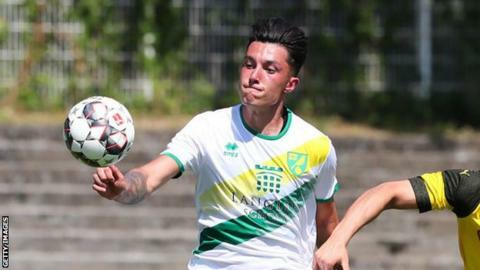 Wrexham manager Bryan Hughes said: "Anthony is a highly rated youngster who has come up through the ranks at Norwich putting in some very impressive performances along the way. "We are looking forward to him joining in with the squad and helping us during the last seven games of the season."